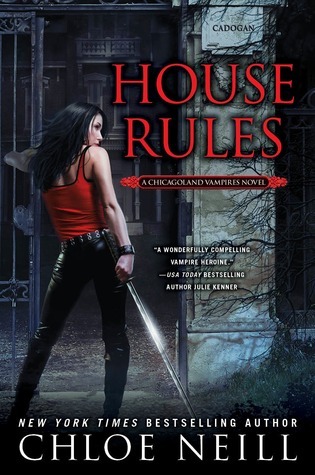 While I was away, one of the books I read was House Rules (book #7 in the Chicagoland Vampires series) by Chloe Neill. Ethan and Merit were the perfect addition to a beach vacation! (Cause ya know I love me some Ethan and picture him as David Beckham *sigh*) Please be careful reading this post if you haven’t read the book and intend to – don’t want to accidentally spoil anything. So this book moved along nicely and had more tension than I would have liked – darn Lacey and her scheming to get Ethan back!! Then, the mess with leaving the GP and the fairies being completely unloyal. Sheesh!! Poor Ethan had to learn Merit was sworn into the Red Guard and had Jonah for a partner. That went over like the proverbial lead balloon. I’m proud of Merit for sticking to her guns. It sure helped that Jonah was able to provide valuable information in a couple of instances. I liked that Jeff and the gang were involved. Was totally awesome when Jeff shifted. And speaking of shifted, Gabriel was there. Woot woot! He provided Merit with some cryptic wisdom! Other than that, not too much out of the pack in this book. Ethan totally cracked me up in this one. The guy gets some of the greatest lines. Poor thing – wrecked Mercedes and tries out a Bentley. Must be nice! On page 3, Ethan and Merit are packing up the GP’s books in the library. Ethan says, “I find mixing business with pleasure makes both more interesting.” He continued a bit later with, “Being a vampire isn’t always about getting what you want, Sentinel. Although I’ll concede I can imagine more enjoyable ways of spending our time.” As part of the conversation, Merit talks about the GP and Cadogan no longer being a part of the club. “I know. We voted to break up with them before they could break up with us.” Go Merit!! Needless to say, despite the seriousness of the situation, they soon get distracted. Leave it to Luc to break them apart! So maybe that isn’t the best passage to illustrate the banter between Merit and Ethan, but I failed to take a highlighter on vacation. I’m sure you do get the idea, though. I really, really enjoyed this book and can’t wait for the next. 4.5 out of 5 stars! Previous postBack in the U.S.
That’s tough. I’ve never read Anne Rice. This is definitely deeper and more involved than Twilight. She has a strong cast of secondary characters, and there is usually a bit of mystery involved. The first book in the series is Some Girls Bite. The books are written in first person from Merit’s POV. If you can download a sample (Kindle or Nook), I would try it that way first.